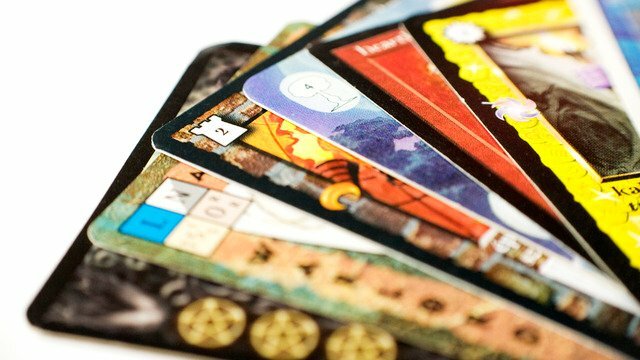 The passage from the physical world to the digital world revolutionized the world of card games. On the one hand, it pushed them beyond the limitations of space, allowing communication and interaction between collectors and players never before imagined. Today you can exchange cards with anyone, even if you do not speak your language and live thousands of kilometers away, or participate in international tournaments with hundreds of other fans. However, with digitalization too much has been lost. Whereas in the past a collector physically owned his cards, in the digital model it is a company that controls the objects, being able to arbitrarily seize them, control their use or even destroy them. This loss of collector's power is being counteracted by the rise of blockchain-based collections. In the case of cards based on blockchain, it is the user who truly owns the cards, with a control as complete as in the case of physical cards. No one can ever deprive you of your property and its use, including its transmission or sale to another user. Tarasca DAO is in the process of producing its first collection, a series of initially 50 mythological creatures that are part of cultures from all over the planet. Those creatures, those cards, once discovered and acquired by collectors, will become digital beings whose life will not be tied to the decisions of Tarasca. Collectors can use them at will, exchanging them among themselves, selling them on the p2p market in Ardor, etc. And there is one more thing that we would like to underline: the cards created by Tarasca will not be under our control or even to limit their activities, that is, the games in which they participate. Once created, any developer or even any eSports company can create games in which the cards participate, without needing to ask for permission from Tarasca or pay us a fee. We can imagine entrepreneurs using our cards for various games, from simple random duels to the most sophisticated graphic apps. And we will rejoice in the life that they will give to our creatures! In short, Tarasca DAO is building a small infrastructure for public use and free for games in Ardor. We hope it wil be used and grows.